Skyrocketing numbers of narrowbody aircraft orders have turned attention to Southeast Asia—and its burgeoning low-cost carriers (LCC), in particular. 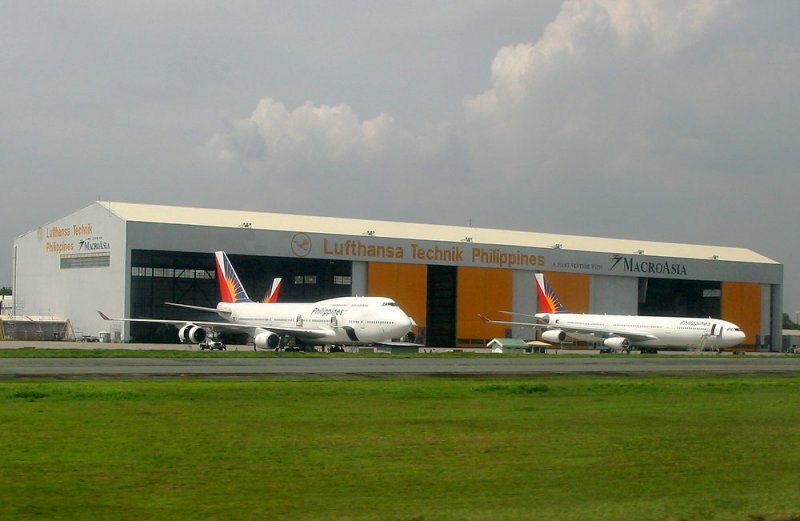 Twenty-seven percent of the world’s narrowbody aircraft—half the global fleet—are operated in the Asia-Pacific region, estimated Lufthansa Technik Philippines in the first quarter of fiscal 2013. More than 37% of the total commercial fleet will soon be based there, many of them in service with low-cost carriers (LCC), it also projects. Such statistics and the aircraft orders supporting them have brought these LCCs prominence on the global stage. The Wall Street Journal noted in late August that Indonesia’s Lion Air was “little known internationally until it surprised the industry last year with record-setting orders.” The airline signed commitments for 230 Boeing 737s in February 2012 and for 234 Airbus A320s in March 2013. But Lion Air is hardly the only carrier in the region making notable additions: AirAsia, the world’s largest operator of A320s, ordered 100 more in December 2012, on top of the 200 it secured in 2011. And Jetstar Airways, part of the Qantas Group, will have access to its parent company’s order for 110 A320s, including 78 A320neos, in addition to the 14 Boeing 787s it expects to receive soon. Beyond these carriers, Cebu Pacific Air has more than 50 A320-family aircraft on order and TigerAir has signed for 20 A320s. This run on the order books reflects projected growth in air travel. The Asia-Pacific region stands to see that demand grow 6.4% annually through 2031, according to Bloomberg News projections. Lion Air CEO Rusdi Kirana says in Indonesia specifically he expects a 20% growth in traffic this year. Those increases in demand and aircraft numbers mean airlines and independent MRO providers alike must figure out how to absorb them. Where will all those aircraft go? As deliveries roll out, maintenance organizations must propose attractive solutions. As a Singapore Airlines Engineering Co. (Siaec) spokesperson puts it, “The positive outlook for air-traffic demand, especially in the Asia-Pacific region, where the LCC market will continue to grow and fuel the traffic growth, and its buoyant fleet-renewal market, has the attention of most MROs in the region.” In other words, a big new fleet is ripe for the capturing. In the past, total outsourcing was the default mode of doing business for Asia-Pacific’s LCCs, especially smaller airlines, but some say that model is being replaced. But Ho notes that the increased numbers of aircraft operated by TigerAir and its peers certainly will have an impact on the region’s MROs. “[The] higher volume of work could translate to higher productivity and lower unit cost of maintenance,” he says. This would benefit airlines like his that depend on the total-outsourcing strategy. Cebu Pacific continues the joint-venture approach that Hogan helped establish. The airline added a second joint venture with Siaec, a base maintenance facility at Clark International Airport in the Philippines, although Cebu Pacific also has partnered with Vaeco in Vietnam for its ATR aircraft; with Haeco in Hong Kong for its A330s; and with General Electric, Rolls-Royce and SR Technics for engine maintenance. The region’s largest LCCs, AirAsia and Jetstar Asia, tackle line maintenance in-house or through shareholding partners. AirAsia has received 127 of the 211 A320s and 264 A320neos it has on order and it has grown accustomed to adding a minimum of 24 new aircraft annually. Performing its own line maintenance is a matter of reputation as well as economy of scale. AirAsia sends the bulk of its base maintenance work to a neighbor, Sepang Aircraft Engineering (SAE), a company part-owned by EADS, but it also patronizes Siaec, Garuda Indonesia and Thai Airways, Tajuddin says. More than 85% of the carrier’s A320s go to SAE for base maintenance, and SAE plans to nearly double its workforce and add new hangars, including ones for A330 maintenance, this year in hopes of drawing more business from its biggest partner. But Tajuddin emphasizes that flexibility remains vital; he looks for agreements of only 2-3 years. “When you have long-term [contracts], you do not have the ability to go out to the market, especially in the airframe business,” in which he says maintenance unit costs may be volatile when man-hours drop. Given that AirAsia took delivery of its first aircraft in 2005, landing gear overhauls will soon start to come due in volume. “We have asked ourselves, ‘Should we invest in a landing gear shop?’” he says. “We do not have any firm idea yet, but we are actively looking.” He notes that he would rather pair up with an independent provider than an airline-affiliated MRO to ensure his fleet has priority. Jetstar Airways applies a common approved maintenance program across its two main branches, in Australia and New Zealand, as well as its low-cost offshoots in Singapore, Vietnam and Japan. A new affiliate is anticipated to kick off operations soon in Hong Kong, subject to regulatory approval. But, like AirAsia, Jetstar considers line-maintenance control particularly important. Jetstar Japan performs its own line maintenance in partnership with Japan Airlines Engineering Co.; along with Mitsubishi Corp. and Century Tokyo Leasing Corp. JAL Engineering conducts A checks for Jetstar Japan at Narita International Airport. The Hong Kong business will be a joint venture between China Eastern Airlines, Shun Tak Holdings and the Qantas Group. Snook says line maintenance for it will be conducted by its MRO partner in Hong Kong. “Heavy maintenance requirements will be combined with other group activity to leverage economies of scale,” he says. For their part, the region’s independent MROs are making plays to accommodate the new work volume, too. The joint venture with Cebu Pacific is only one of 25 that Siaec operates in nine countries, with the aim of offering better cost efficiencies to low-cost carriers, says a Siaec spokesperson. And Lufthansa Technik Philippines recently underwent an organizational restructuring with the aim of capturing more of the Airbus base maintenance work in which it specializes. Tons of new aircraft and no place to put them? MROs and airlines have been adding maintenance capacity to house new deliveries as work comes due. Perhaps the biggest news is Lion Air’s late-August announcement of its intention to build a $250 million maintenance hub on the Indonesian island of Batam, angled to rival the established MRO hotbed of Singapore. Lion Air CEO Rusdi Kirana has designs for his own airline’s Lion Technics MRO arm to handle internal needs as well as those of other carriers only a 45-min. ferry ride from Singapore’s busy Changi International Airport (see page MRO14). The campus reportedly will consist of four hangars, each able to accommodate three narrowbody aircraft at once. Two hangars are set for completion by year-end and the remaining two will follow by next summer. The site would complement a smaller one it is building in Manado, Indonesia, as well as its existing facilities at Surabaya. 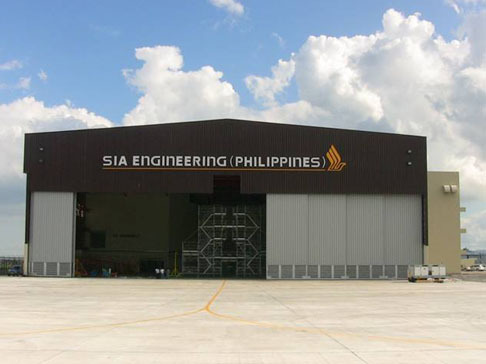 Partners Cebu Pacific and Siaec are completing a long-planned second hangar at their maintenance campus at the former Clark AFB in the Philippines, which will be able to house aircraft as large as the Boeing 777. And while maintenance activity in Australia tends to be cost-prohibitive, Jetstar is leasing a widebody hangar at Melbourne Airport to undertake Boeing 787 and A320/A321 line maintenance, including A checks and triage, Snook says. About 35 technical and support staff initially will be employed there, he adds. But new investments seem likely. “It’s not going to be easy for the market to absorb a thousand planes in the next 10 years,” says XSQ Consulting’s Hogan. He points to the possibility of new hangars being built by either independent investors or joint ventures in underdeveloped regions such as Malaysia, the Philippines and Indonesia—or even Myanmar, Bangladesh and Vietnam. He notes that this growth will be extended once China opens up further.